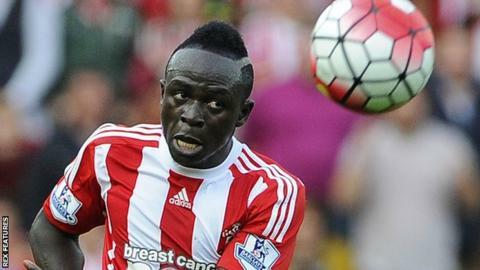 Southampton striker Sadio Mane will have a medical at Liverpool on Monday after the clubs agreed a transfer fee of £34m, BBC Radio Solent understands. The fee could rise to £36m, making the deal one of Liverpool's most expensive, rivalling £32.5m for Christian Benteke and £35m for Andy Carroll. Manager Jurgen Klopp wants to boost his attacking options and made Mane a prime transfer target this summer. It had been thought the Saints wanted closer to £40m for the Senegalese. The deal is expected to be confirmed on Tuesday. Klopp was impressed by Mane when he scored twice as Southampton came from 2-0 down to beat Liverpool 3-2 at St Mary's on 20 March. Alongside England striker Daniel Sturridge and Belgium youngster Divock Origi, Mane, who scored 11 goals in 37 Premier League games last season, would add pace and a goalscoring threat. Liverpool may seek to recoup most of the money they spend on the Mane by selling fellow striker Benteke, who has struggled since his move from Aston Villa in 2015. Mane is set to tread a well-worn path between Southampton and Liverpool. Adam Lallana, Dejan Lovren, Rickie Lambert and Nathaniel Clyne have all moved to Anfield since the summer of 2014. It would also give Saints a handsome profit on a player they bought from Salzburg for £10m two years ago. They have already sold midfielder Victor Wanyama to Tottenham for £11m. Southampton are still without a manager following the departure of Ronald Koeman to Everton but have been linked with former Nice boss Claude Puel. Liverpool also want to sign Leicester City's 19-year-old left-back Ben Chilwell, who did not play in the Foxes' title-winning campaign. This move is currently on hold because Liverpool are unwilling to meet Leicester's £10m asking price for the youngster who had a spell on loan at Huddersfield Town last season.